Lobby cards were created for theatre displays and promotion. They were almost always 11" x 14" in size and made in sets of eight cards, each featuring a different scene from the movie being advertised. In the heyday of the studio system, in the 1930s and 1940s, they were often strikingly designed with a distinctive border treatment and included a “title card,” which served as mini poster for the film. As the studios declined, in the 1950s and 1960s, so did the quality of lobby card design and reproduction. In the last twenty years, they have been completely phased out, except for the occasional “collectors set” though overseas lobby cards can still be found. 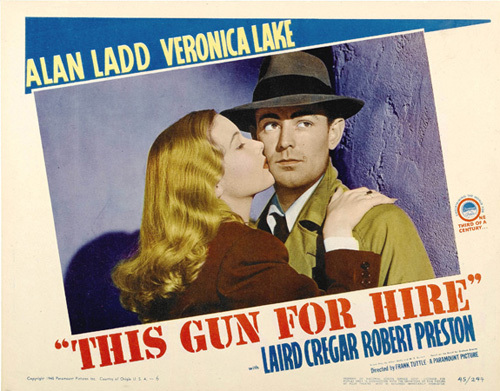 Vintage lobby cards featuring classic titles and stars are highly desired by collectors and can sell for hundreds or even thousands of dollars. The Teegarden/Nash Collection contains nearly 2,500 lobby cards representing a comprehensive range of genres and move history. A list of our lobby card titles is included here.